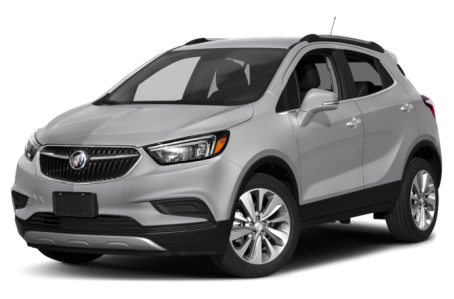 The 2018 Buick Encore is a compact SUV that seats five passengers. It competes with the Ford Escape, Mazda CX-5, and Toyota RAV4. Under the hood, the Encore is powered by a standard 138-hp, turbocharged 1.4-liter 4-cylinder engine mated to a 6-speed automatic transmission. All-wheel drive is also available. The Sport Touring trim is tuned to produce 153-hp with a Turbo 1.4 with a start-stop system for improved efficiency. Six trims are available: the base model, Preferred, Sport Touring, Preferred II, Essence, and Premium.